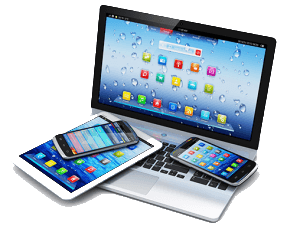 VIEW FILE DOCUMENTS ON SMART PHONE – Our clients can instantly view many of their case documents on smart phones, notebooks and PCs. LawFix client communications uses a highly secure, encrypted portal in the software and server, which allows only our clients to view potions of their file when documents are generated, filed or received at LawFix. DOCUMENTS ARE TYPED INSTANTLY – The LawFix Software allows our staff to dictate directly into the computer and that information is instantly converted into print for letters, emails and briefs. OUR RESEARCH SOFTWARE – retrieves the applicable law from every jurisdiction in all 50 states and all levels of federal law in seconds. The applicable part of that research is instantly copied to the brief or motion where it is needed. WE VALUE YOUR PRIVACY – LawFix software has the same level of security and encryption used in banks, hospitals and other highly sensitive institutions, in order to protect the privacy of your information. We never put our client’s personal information in the encrypted portal, so that information is only available to Lawfix staff. WE KEEP OUR CLIENTS INSTANTLY INFORMED – Clients can monitor our progress on their case, send emails or upload documents to their file 24 hours a day. They may also elect to have traditional written communication or call the office.